Refined and comfortable hatchback. Huge amounts of rear legroom. Quiet engines even at motorway speeds. Good equipment levels as standard. Ordinary to drive. Drab interior. Doesn't stand out from the competition. After a brief absence, Nissan is back with a hatchback, something we've not seen since the Almera was discontinued in 2006. 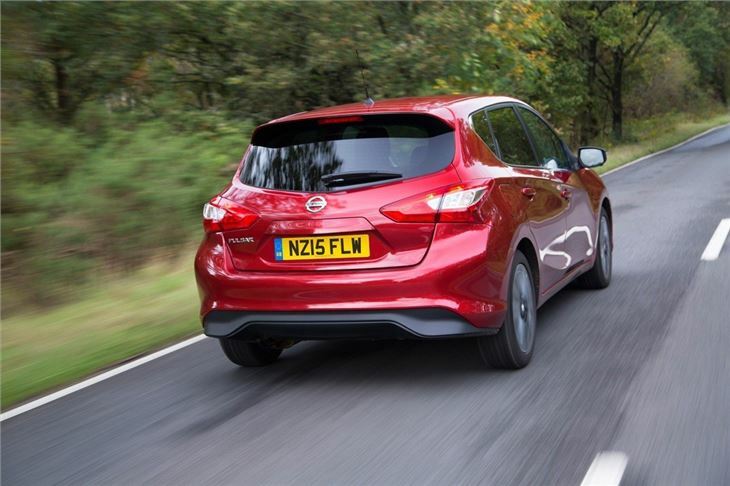 When Nissan replaced the forgettable Almera with the Qashqai it declared that the traditional hatchback was a thing of the past. The brave new world of the 'crossover' was the future for family buyers and indeed Nissan led the way with the Qashqai, creating one of the most popular cars of recent times. So why is it returning to a hatchback now? Well while the demand for crossovers has exploded, the fact remains that the market for hatchbacks is the second largest in the UK and remains similarly popular across Europe. 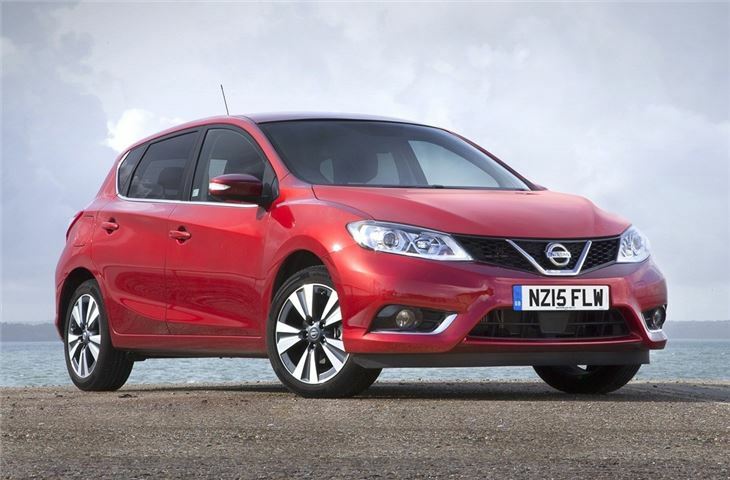 Nissan can't ignore that potential so now it's returning with the Pulsar. 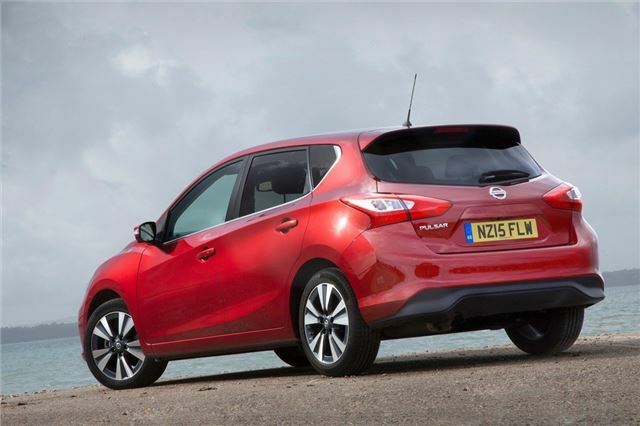 The five-door hatch is positioned slightly below the Qashqai - prices are roughly 10 per cent cheaper - with Nissan arguing that the Pulsar is more of a competitor to the Hyundai i30 than the Volkswagen Golf. 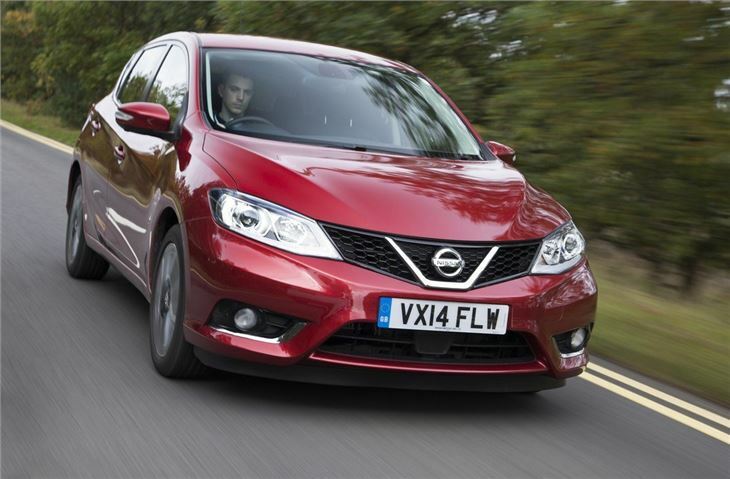 Of course the Qashqai influence isn't far away and Nissan has attempted to bring some of the characteristics of its crossover into the Pulsar. The firm describes it as an 'athletic design' but while it's tidy it's far from exciting, lacking the flair of the Juke or the presence of the Qashqai. Inside it's a similar story with a fairly ordinary cabin that does little to get your attention. On the plus side, while it has few bells and whistles, the Pulsar feels a well finished and sturdy car. However it's real trump card comes with refinement. 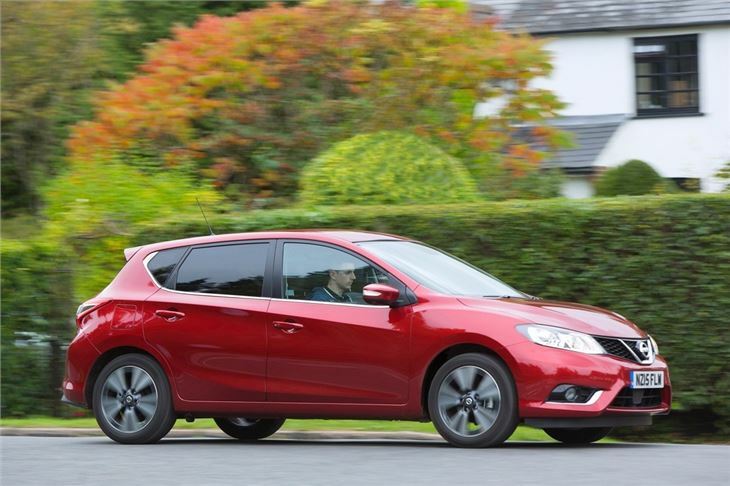 The Pulsar is incredibly quiet and smooth, making it one of the most relaxed hatchbacks around. There's little in the way of sparkle from behind the wheel, but it's very comfortable with superb ride quality. It's a car that's effortless to drive and fuss-free to own. 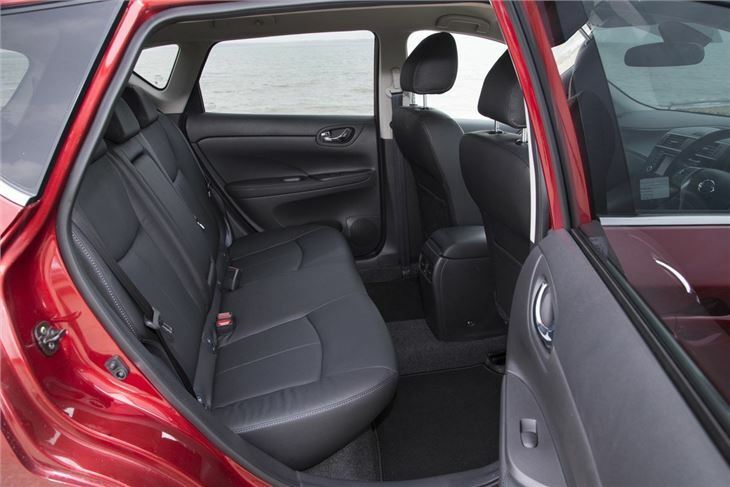 It also has acres of rear legroom - more than larger saloons like the BMW 3 Series. There's a 1.2 DIG-T petrol, a 1.6 DIG-T petrol and a 1.5 dCi diesel. The latter is impressively economical with a claimed 78.5mpg and CO2 of just 94g/km but both it and the 1.2 are refined and quiet on the move, giving decent performance when required. The 190PS DIG-T isn't as fast as you might expect, but it does give the Pulsar a decent turn of pace. 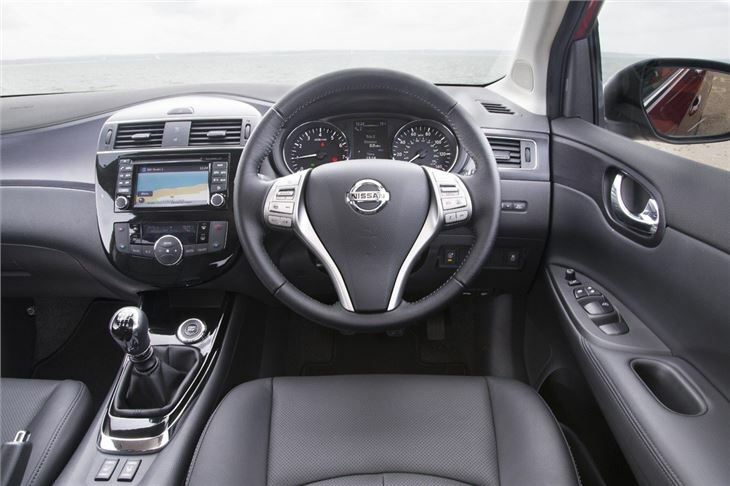 While other hatches may have a lower entry-level price, Nissan has ensured there are no basic models in the range so even the base Visia gets a 5-inch colour screen, steering wheel mounted controls, air conditioning and Bluetooth as standard. A good value, practical and spacious family workhorse, although could be more fun to drive.